Silentworld International Shipping Agency and Freight Forwarding can procure and ship goods from Australia, Singapore, Malaysia and China to anywhere within the Solomon Islands. We offer personal professional customer service to make any shipment seamless. Silentworld has a serviced warehouse in Brisbane Australia and a new serviced warehouse and agency office in Point Cruz. 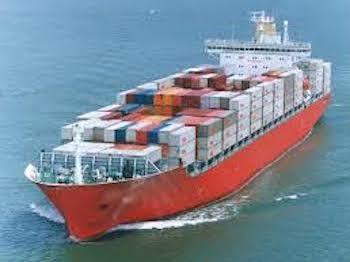 Sea freight – we can offer Full Container loads (FCL) – customers can pack own container or we can arrange the packing. Also Break-bulk Cargo – large machinery etc. OR we can offer LCL (Less than a Container Load) which is shipped in a Consolidated container with other cargo. Capacity is up to 1m³ with a minimum charge of 1m³. Vessels sail ex Brisbane approximately every four weeks with a four day transit to Honiara. Air Freight ex Brisbane – flights depart four times a week. Air freight must be booked in and received prior to 1500 the day prior to departure and is charged by weight. Quotes can be provided. Silentworld can arrange collection from anywhere in Australia for transport by either Sea Freight or Air Freight to the Solomon Islands. Customs clearances and delivery in the Solomon Islands can also be organised, if required. Silentworld International Shipping in the Solomon Islands is as Agent for Carpenters Shipping for the Import and Export of containers from and to anywhere around the world, mainly China, Hong Kong, Malaysia, India, Indonesia and Singapore. Receive cargo 8.30am to 4.00pm Monday to Friday.